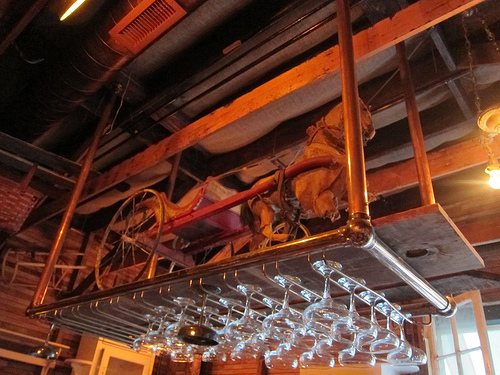 Recently Young’s Market, a fine wine and spirits distributor, had a whiskey tasting at Sassafras in Hollywood. It was co-sponsored by Tasting Panel Magazine. 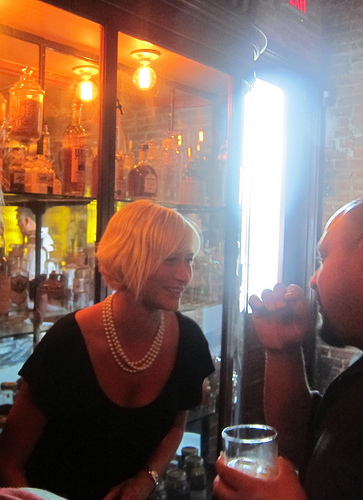 The trade event was open to bar owners and bartenders to try the whiskey (and whisky!) offered by the distributor. After visiting the tables of some favorites like Blanton’s and a couple of whiskies from Heaven Hill including Rittenhouse and Elijah Craig, I headed upstairs to check out some new (to me) whiskies. I spotted Few Spirits. I had only wanted to try the rye since I intended to make my way to all the tables but somehow I ended up tasting the bourbon, rye and gin (yes, they brought their gin to a whiskey tasting…shhhh). 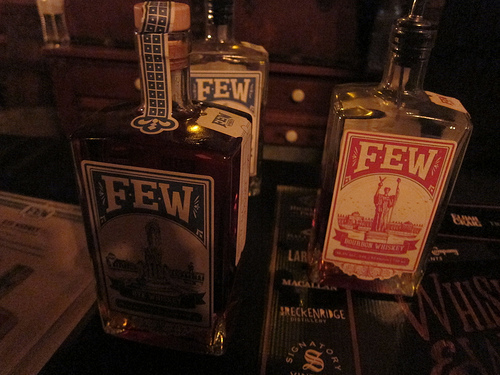 I really enjoyed all three though the rye was ultimately my favorite. I found it interesting it had been aged in air-dried oak barrels. It had a medium mouth feel and was fairly spicy. I’d like to see this in a Manhattan. I had too much fun at the Angel’s Envy Bourbon table which means no pictures. Try their new rye. Back downstairs, Barcadi Portfolio Manager Jaymee Mandeville was pouring for Dewar’s. This evening she was serving the smooth The Scottish Bevy. Since it’s high summer, you might imagine it’s difficult to drink Scotch but not with the Dewar’s Highlander honey. I’m generally not a fan of flavored spirits but this one works well. It doesn’t taste artificial and it may be a good brunch cocktail as well with the cucumber. 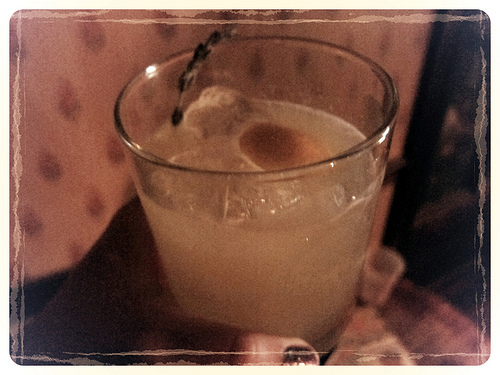 On the other hand, LA nights get very cool and a toddy in the summer doesn’t seem too outrageous. 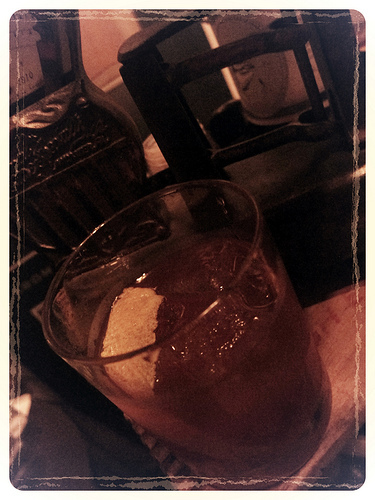 Sassafras’ bar manager James Burton came up with a Larceny bourbon toddy. He said think of it more as a hot punch. I sipped it carefully as I made my way back up the stairs. Apparently there were more rooms of whiskey to explore! 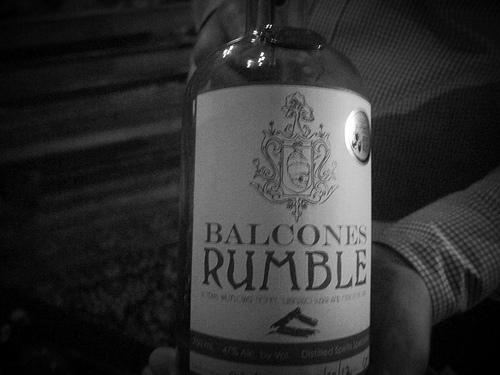 Texan distiller Balcones is known for their whiskies and so I was intrigued by their latest offering, Rumble, which is not a liqueur. Brand Ambassador Winston Edwards said it’s made with local wildflower honey, figs, turbinado sugar and Texas spring water. It is aged in barrels. I would combine this, Balcones True Blue 100 Proof, a couple sprigs of mint, crushed ice and make myself a julep. 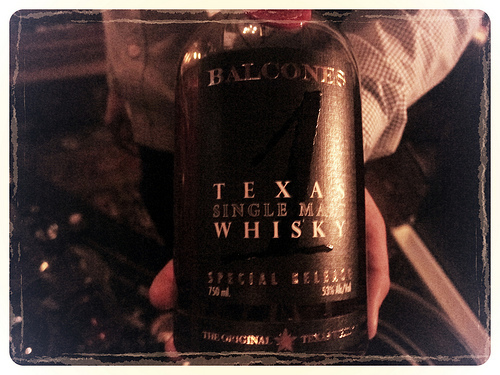 I had tasted most of the line before so I was most interested in the Balcones single malt. It was delicious and my favorite thing I tasted this evening. I would drink this neat. Pablo Moix from Old Lightning was pouring for Highland Park and I had his great cocktail, The Choker. 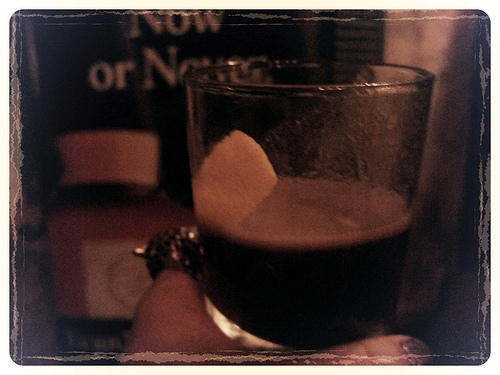 It was exactly what I needed at the moment after tasting so many spirits neat. There were some whiskies I somehow didn’t manage to try. Apparently there was the “best Scotch you never heard of” there but I scoured Sassafras a few times and didn’t find their table. I hope Young’s Market does this again! This entry was posted in alcohol education, alcohol tasting, bars, bartenders, events, hot bartenders, la, la cocktails, los angeles, spirits, the minty, wine and tagged andie brokaw, angel's envy, balcones whisky, bartenders, blanton's, bourbon, cocktails, dewars, drinkwire, few spirits, heaven hill, hollywood, hot bartenders, james burton, jaymee mandeville, larceny bourbon, pablo moix, rittenhouse, rye, sassafras, sassafras bar, scotch, tasting panel magazine, the minty, whiskey, whisky, white dog, winston edwards, young's market. Bookmark the permalink.